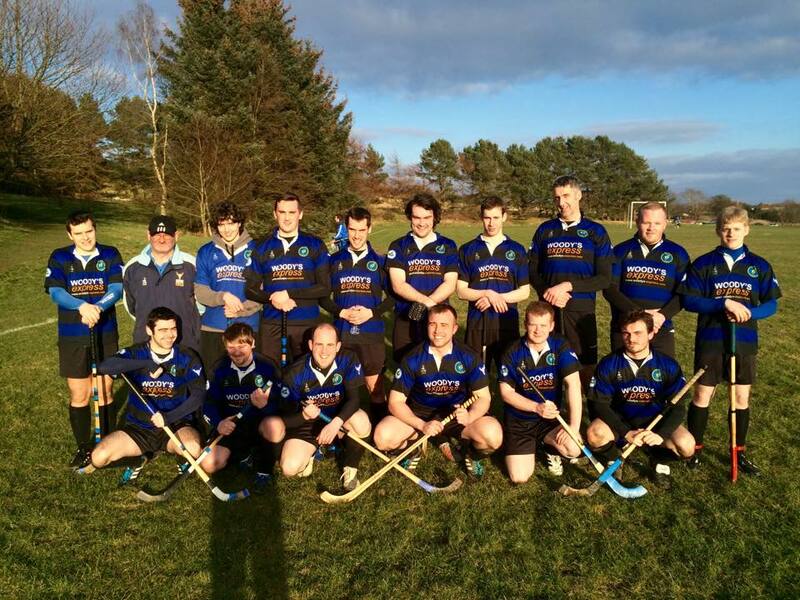 On Wednesday 25th March, the club welcomed the travelling squad of the University of St Andrews Shinty Club. 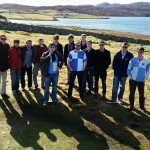 This historic tour came about thanks to the connection of Micheal Macdonald, player and former club secretary, who studies Medicine at the University and has been the varsity Captain for the 2014-15 session. 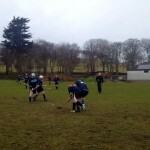 The students left Fife on the Monday, travelling up towards Skye where they spent the night before being taken through their paces at Skye Camanachd’s Pairc nan Laoch courtesy of Skye coach David Pringle. They then travelled over on the evening boat from Uig to Tarbert before setting up base in Laxdale. 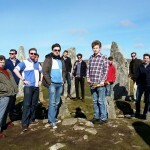 The Wednesday saw Micheal take his squad around the sights of the island, with some beach shinty, standing stones and brochs. 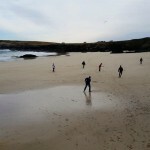 The scene was then set for a historic first game between St Andrews and Lewis at Bayhead. 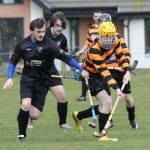 The Fifers were piped on to the park to face the islanders. With several of the club’s home based players limited in their playing time this season it was a vital game, and both sides had difficulty in the first half but the play was full of gusto and enthusiasm. However, in the second half Will Church grabbed a couple of goals in a five minute spell to put the game out of reach for the students. 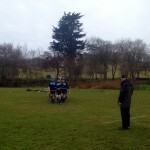 Thanks to John Nally for refereeing the game. 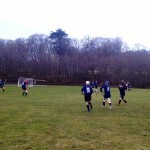 The game was obviously mutually beneficial as both teams recorded victories in their next game, Saints beating Dundee Uni 4-1 at the same time as our win at Boleskine last Saturday. 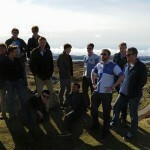 The lads then enjoyed a night out in Stornoway. Thanks to Micheal and Anna for the photos. 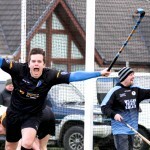 Fantastic shots from a fantastic result in Farr yesterday. 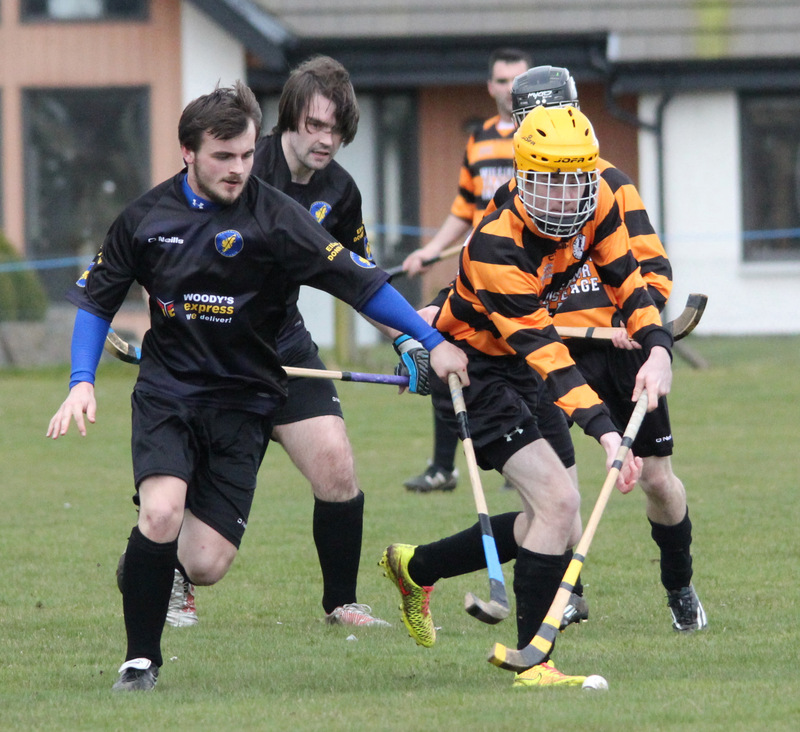 After the disappointment of Saturday’s 7-0 defeat to Glengarry, we have a little treat this Wednesday 25th of March, as one of our own, Micheal Macdonald (pictured above), brings his St Andrew’s University club to Lewis & Harris on tour. 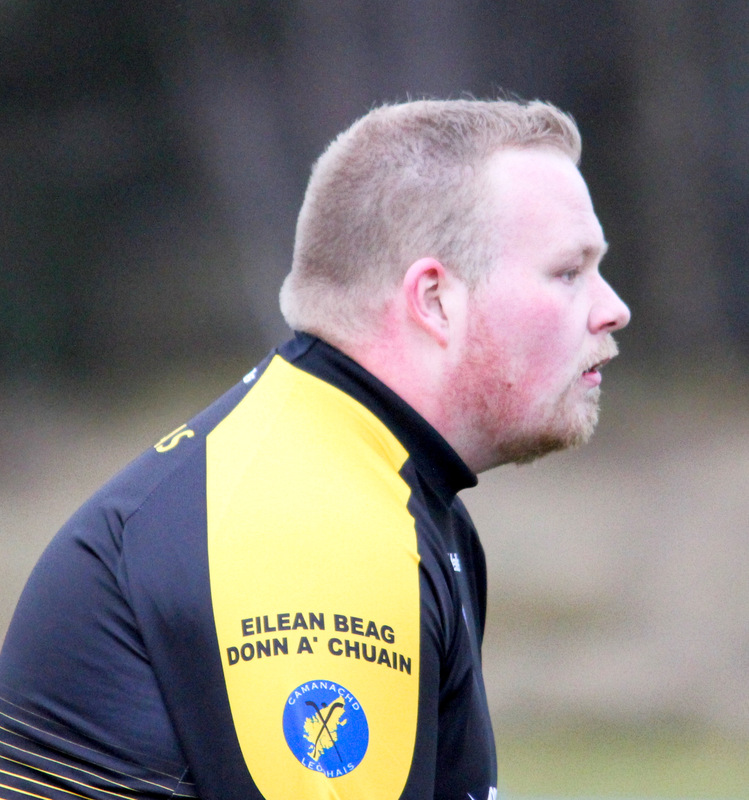 This will be the first meeting between the two sides, although several players, including Micheal, were involved in the victorious Glasgow Island side which won the St Andrew’s Sixes in 2012 and the club are keen to send a side to this year’s event in May. 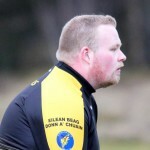 Eoghan started out his coaching career with the St Andrew’s Ladies team as well, so we probably have them to blame for that! 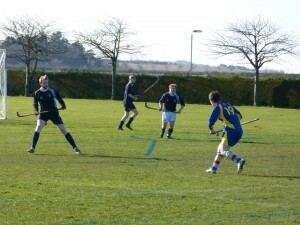 The match between Lewis and St Andrew’s will take place at Bayhead on Wednesday 25th March. Throwup will be around 5.45 and we will play until it gets too dark to see! 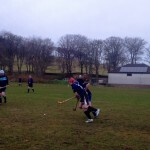 Our first ever game against Glengarry this Saturday at Craigard Park, Invergarry with the throw-up time of 1.30pm. However, there are a few links between the club and the Garry. 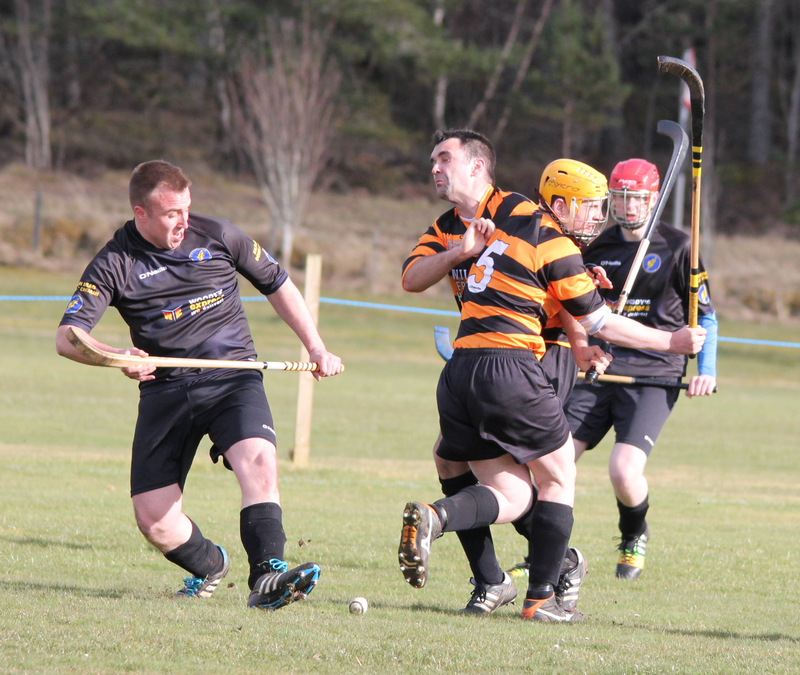 The most obvious is former club captain Duncan MacIntyre (pictured above), who hails from Glengarry and played many seasons for his home area club before moving to Lewis and providing a great service to shinty in Lewis before his well-earned retirement at the end of last season. Back in 2007, a couple of the Glengarry Ladies played in the very first HebCelt Cup for the Hebridean Allstars team that year, this helped get the trophy off to a start before Uist became the regular opponents from 2008. And of course, this isn’t our first game at Craigard Park. It was used as a neutral venue (after Braeview in Beauly was waterlogged), for a game against Aberdeen University in 2011, the score of which we will gloss over here. We are hoping our new strips will arrive in time, and that they give us better luck than the last time we got new strips, also on that day! Head down if you can and support the Dubh is Gorm. An epic trip for the first game of the season to Aberdeen. Good to get a game after our aborted pre-season and cancelled season opener. 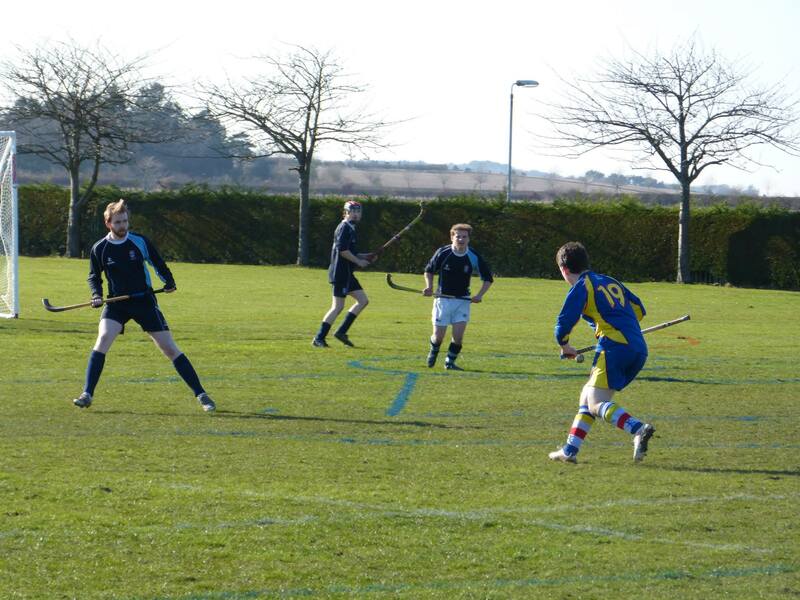 The lads were obviously rusty, but we battled gainfully against a good Aberdeen outfit who took the spoils 4-0. It was good to remake acquaintances with the good folk at the sport’s oldest club and we look forward to seeing them in Shawbost later on this year. 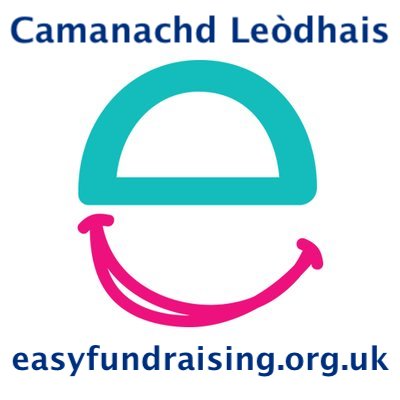 We also would like to thank the many Leòdhasaich who live in the area who were on the sidelines supporting the Dubh is Gorm. ‘S làidir na bannan! 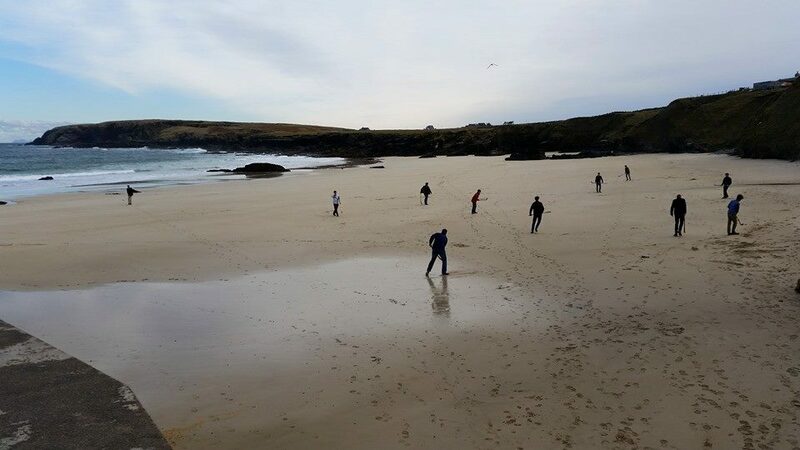 Sadly our match against Inverness was cancelled on Saturday morning with the squad at the mouth of Lochbroom and several boys enroute from down south as well. A disappointing start to the season, but thankfully the new season means that there is another game coming thick and fast, away to Aberdeen University. 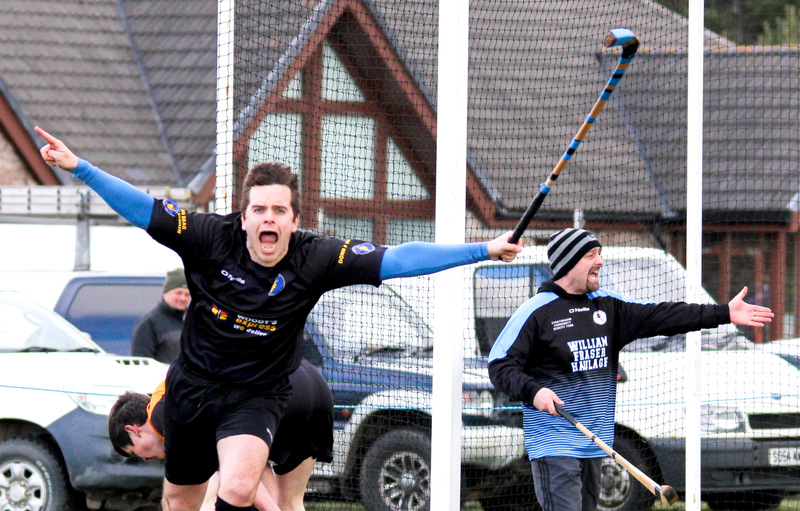 Our first ever trip to the Granite City this weekend, to be played at Balgownie Playing Fields. 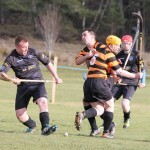 Our first ever league season in 2011 saw us play two games against Donald Lamont’s old club, but on neutral ground; an ignominious 15-0 defeat in only our second ever league game at Invergarry, but then an admirable 3-0 loss at Inverlael in the June, where only three fantastic goals from Kenny “Barlow” MacLeod saw them over the line, the University went on to win the league by a significant margin. It will good to mark our progress as a clubs since then. Keep in touch on the Facebook or Twitter for more information about the throw-up time and if you are in the area come along and support. A fantastic day for youth shinty in Lewis & Harris on Saturday with kids and parents enjoying an entertaining and competitive tournament in Ionad Spors Leodhais. 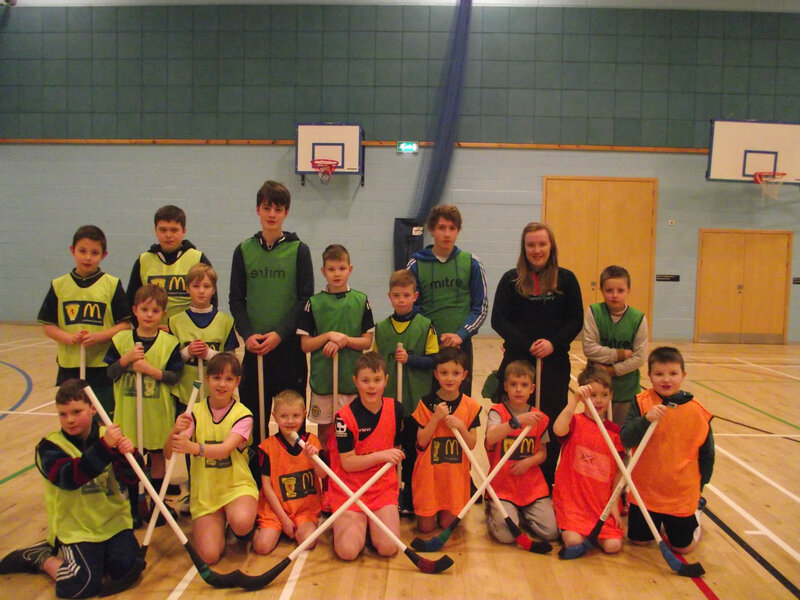 The Tong/Town select were the overall winners, but every youngster showed off their skills fantastically well. We look forward to the next youth tournament which will hopefully be held soon. 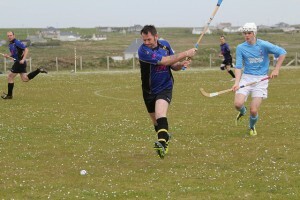 The tournament was held on the same day as the National RBS First Shinty Finals in Fort William, and hopefully we will be able to have a Western Isles representative at that in the future. Thanks to all the kids, refs, coaches and parents.